Welcome to Madeline Island! 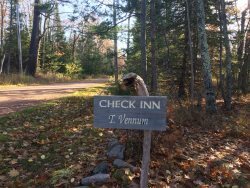 Madeline Island Vacations is please to offer the MIV Advantage Program to our guests during your stay on Madeline Island. The MIV Advantage Program is designed to give you access to specials and discounts from our business community. Participating Business and their offers are listed below. Simply show your Madeline Island Vacations key from the property you are staying at to acknowledge your discount or special.